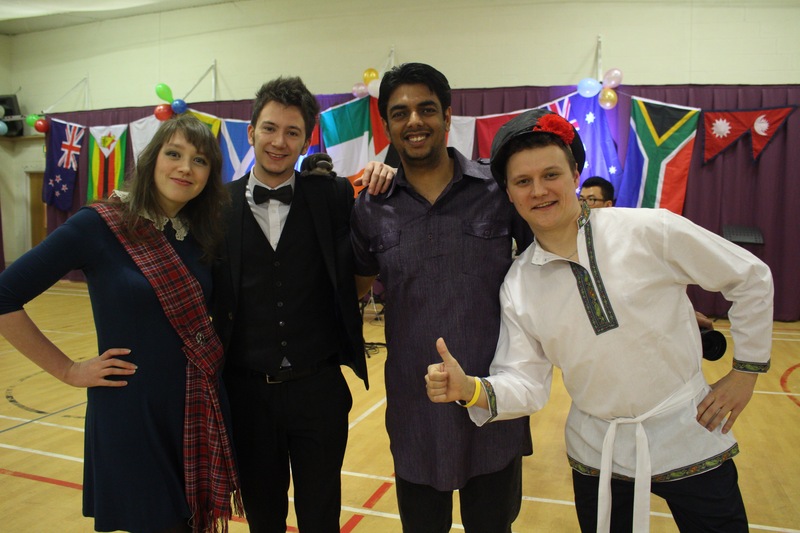 The International Dress Day, which fell this year on Saturday March 4th, is a relatively new event to Ustinov College. 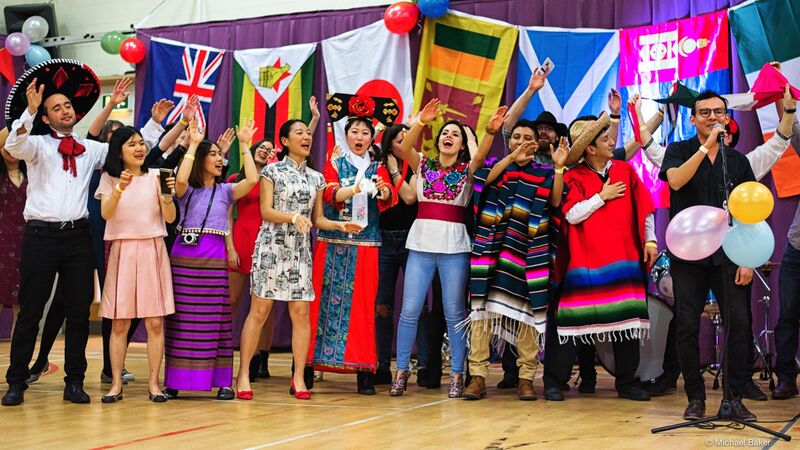 The day has been created as a celebration of Durham Universities’ most diverse college as a casual and informal platform for meeting other cultures and celebrating the many cultural differences of the students that make up Ustinov. 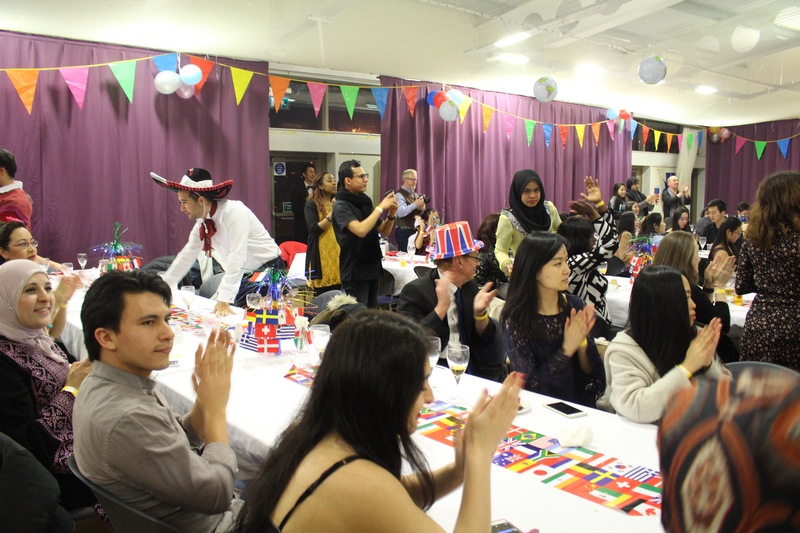 The guests were warmly encouraged to wear the dress of their country in an atmosphere which sought to bring people together through their dissimilitude. 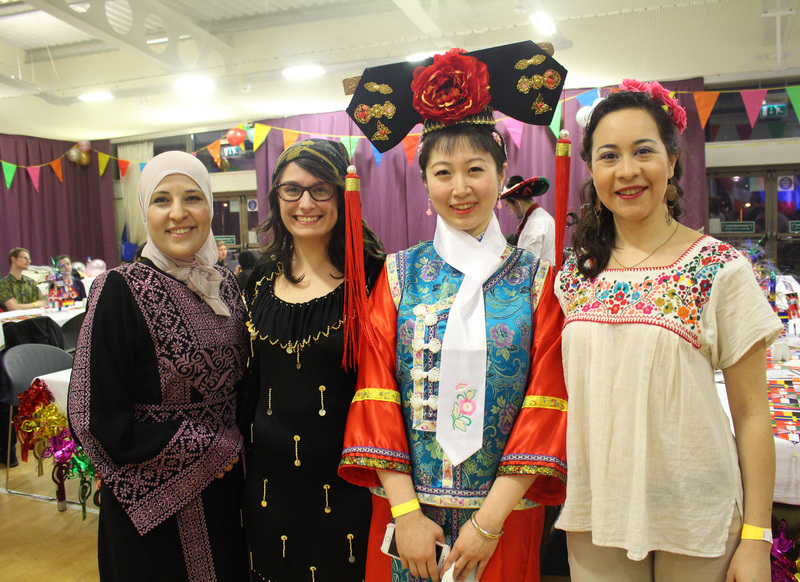 The day began early as the Ustinov Intercultural Forum and Café des Arts arranged the location and arrangement of the decorations and flags for the event. 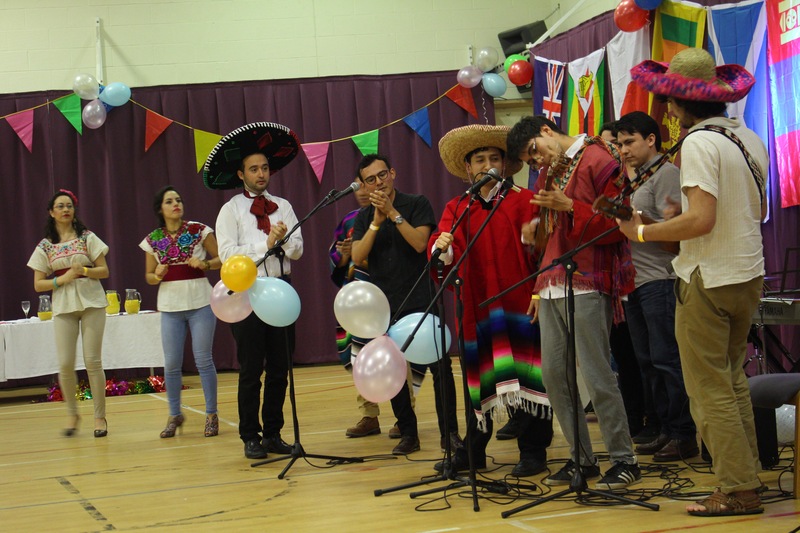 The balloons were blown up and grouped together to be tied in place; the bunting hung from corner to corner of the Howland’s farm sports hall (a fun Spring event would not be the same without some bunting!) and fourteen flags from around the world hung across the back of the stage. 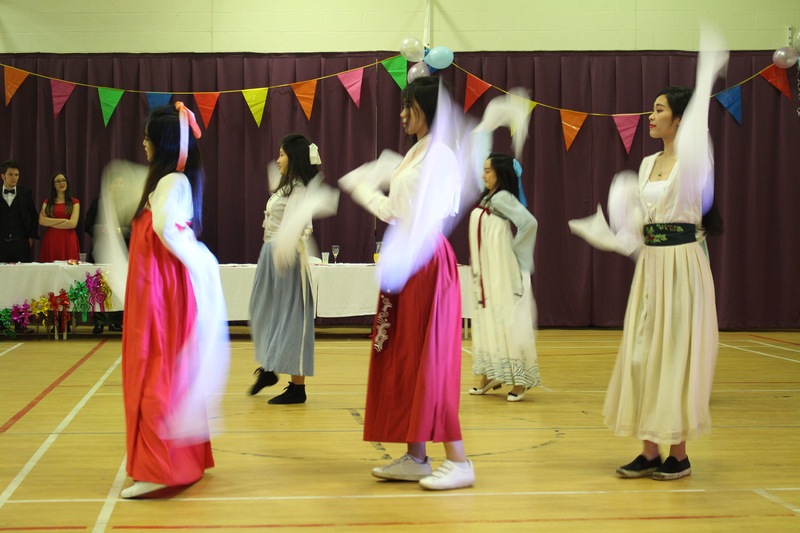 The food was being prepared for the guests and the order of the performers was run through to check all was in ready and in place for the six O’clock start time. The only thing left to do was to wash oneself after the semi-arduous task of putting up the many decorations, get into the costume which many of the guests had thought over and put together across a period of weeks, and attend the evening’s festivities. The evening began slowly as people began to arrive, mostly fashionably late. 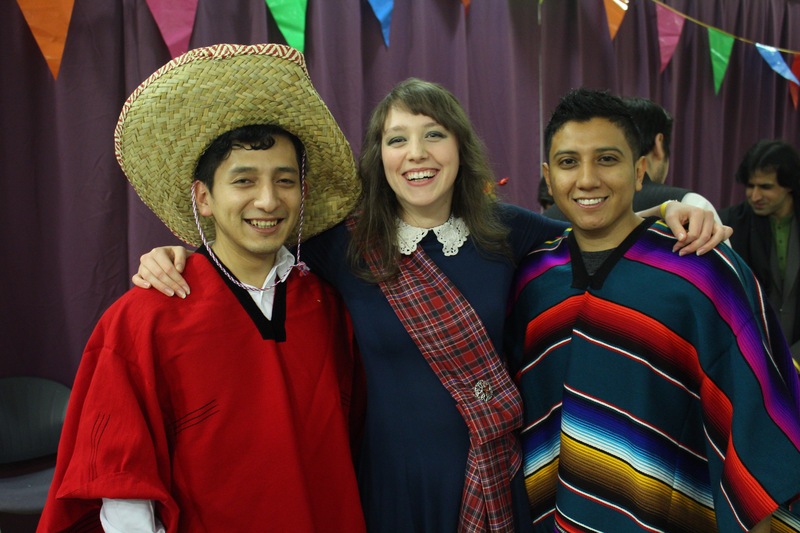 There were many native costumes from across Europe, South and Central America, and many parts of Asia, adding so many different colours, designs, and types of dress that you might wonder why this event is so young in age, given the history of the broad cultural diversity at Ustinov College. 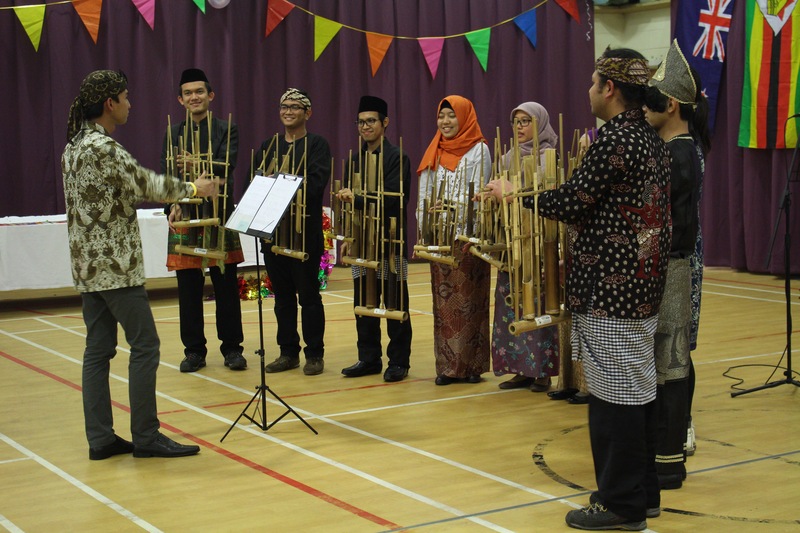 The performers were equally chosen to reflect the national differences that populated the event and being celebrated, including an Indonesian bamboo orchestra; Chinese dance and poetry reading; English poetry reading of historic and original poems, amongst many other individual and group events besides. After the event, as people still mingled and chatted to one another, the decorations had to come down once more to leave the room as we found it. 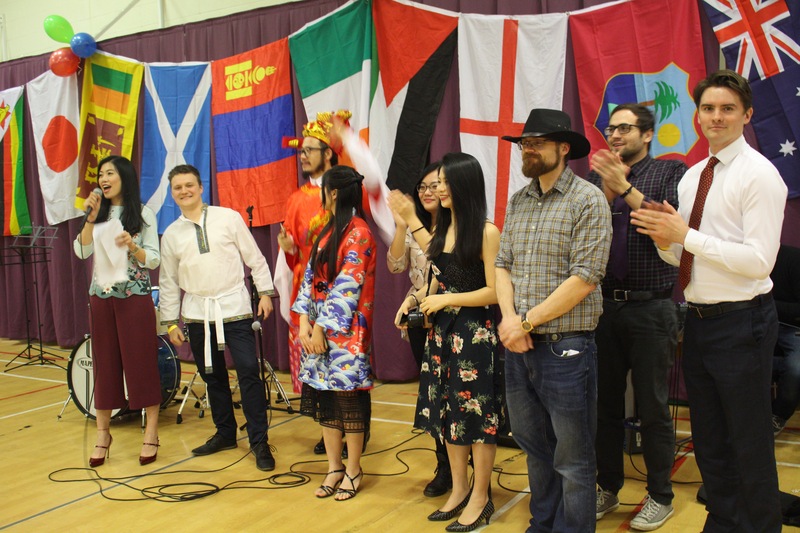 But the great many photos, live streaming from numerous smart phones and iPads and many albums created for the event on social media testify to its huge success and its growing popularity and status amongst Ustinov College’s GCP events.